The Sofitel Guarujá Jequitimar hotel sets the benchmark for luxury resorts on the São Paulo coast. The hotel stands out due to its architectural design, comfortable rooms with exquisite decor and extensive leisure facilities, which include a spa, pool with a bar, children's area, fitness center, restaurants and bars. 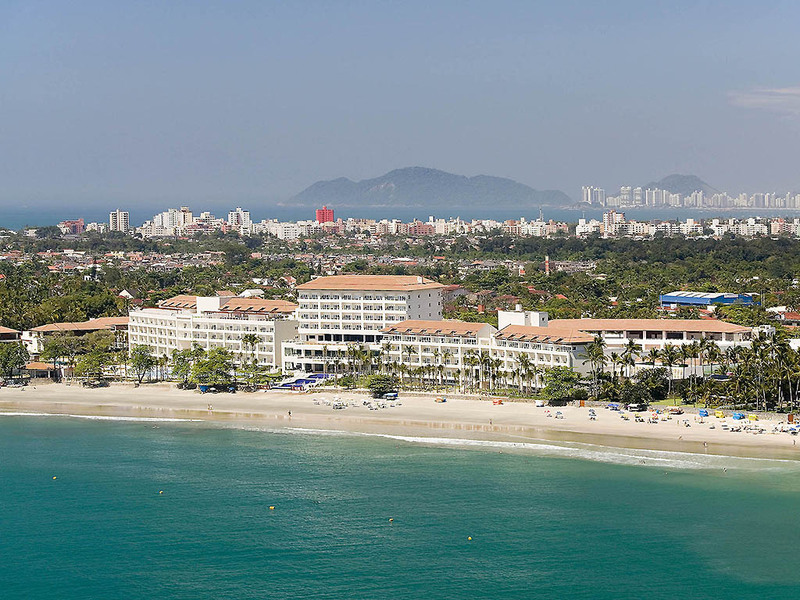 This seafront resort on Pernambuco Beach is the perfect place to enjoy a family vacation. The apartments at the Sofitel Guarujá hotel perfectly satisfy a diverse range of requirements. Whether you are here on business or a family vacation, our apartments offer the luxury and comfort you have come to expect of Sofitel. Superior Room with 2 Single Size Beds, balcony, ocean and/or swimming pool views, free WIFI. Luxury Suite with 1 King Size Bed, sea views, bathtub, balcony and free WIFI. Enjoy a menu specializing in fresh seafood while admiring the views from the seafront at the Mar Casado Restaurant. Open 1pm to 4pm. The traditionally French Les Épices Restaurant offers a refined menu and a wine list featuring highly prestigious and award-winning wines. Open 8pm to 11pm. L´Eau Vive Lobby Bar has a modern, yet sophisticated and elegant atmosphere. Enjoy spending time at the pool bar whilst sampling delicious snacks and your favorite drink. In a modern and sophisticated atmosphere, L'Eau Vive Bar offers relaxing moments and drinks elaborated with influence of the highest station trends.